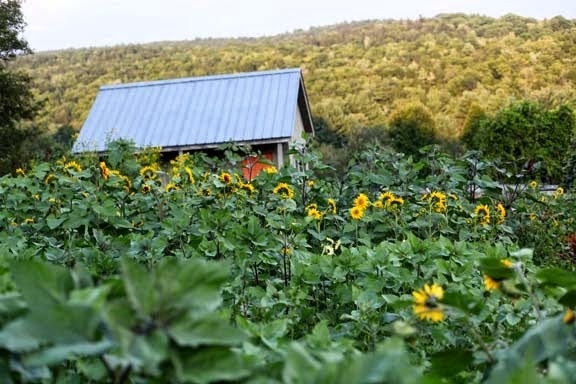 Getting Stitched on the Farm: September First + Book Release News! September First + Book Release News! Wow! September 1! Where did the summer go? I hope you all are enjoying Labor Day here in the US. I myself am looking forward to autumn weather but for now, we are all enjoying the beauty that the late summer garden brings. Here are a few shots just outside my yellow studio door. There is a stone walkway just outside the door which heats up all day long as it faces south. 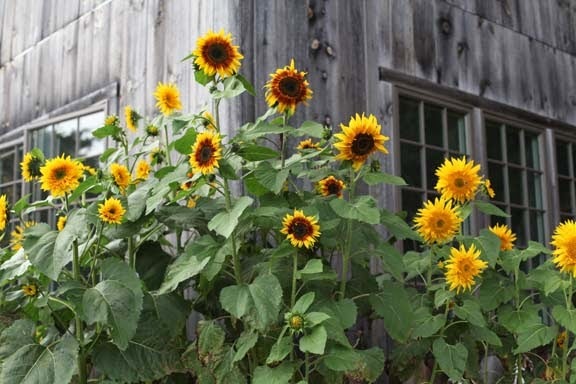 These sunflowers are blooming a few days ahead of those in my garden. I credit it to the hot stones. This is a new one called Greenburst. Here's what the garden looks like right now. So lush, including the weeds! 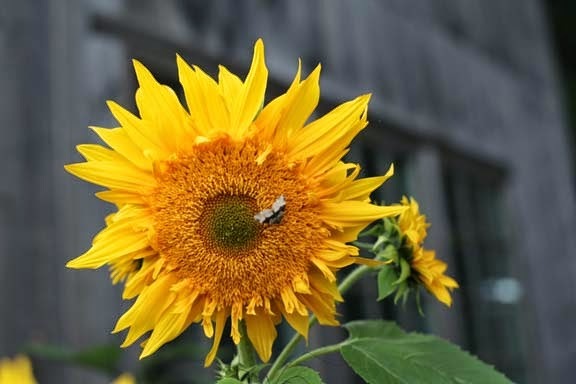 But the sunflowers tower above them. 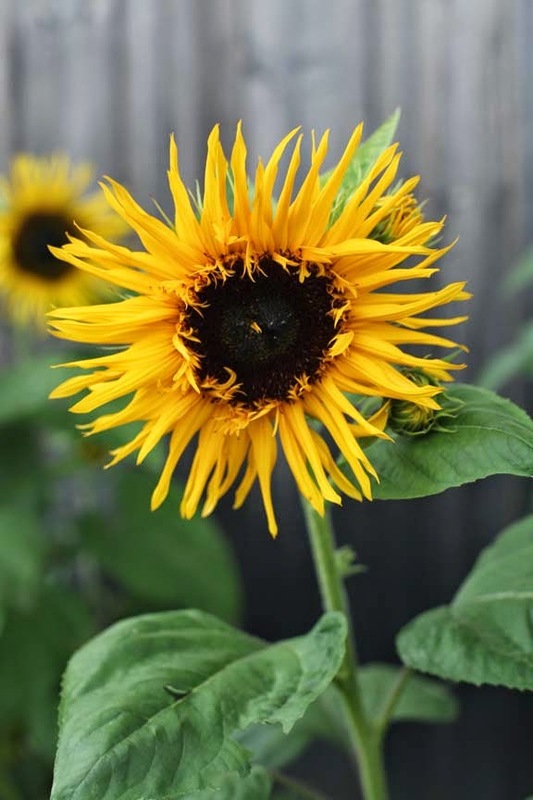 Pop back in later this week when I will be doing a Sunflower Variety Round-Up for all you gardeners out there. Now for the big news. 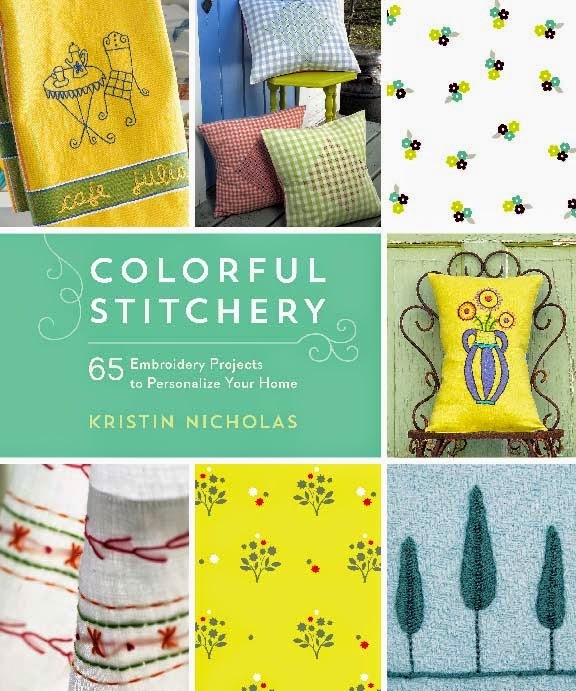 My book - COLORFUL STITCHERY - is being re-published on September 21st. You see, it was put out of print by the original publisher Storey Books. My new publisher Roost Books, jumped at the chance to re-design it and bring it to a new audience. Here is the new cover - how pretty! Embroidery is growing in popularity and I am thrilled that this beautiful book is available to the new embroiderers who missed it last time. You can purchase a signed copy in my webshop here. Note that if you have the original book published in 2005, there is nothing different - except the design and the cover and my acknowledgements. 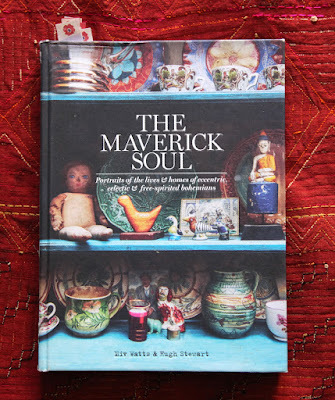 The cool thing is that now my webshop supplies many of the fabrics and threads that are used in the book. 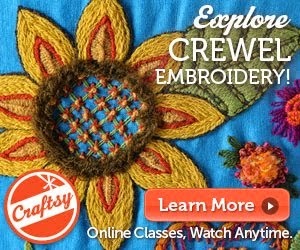 And it coordinates with the on-line Craftsy class Stitch It With Wool: Crewel Embroidery (link to it on my sidebar). How about you.... what are you looking forward to this fall? Gonna dive into my *STASH* right Now! Happy Labour Day! - Stay COOL! Beautiful photos :-). 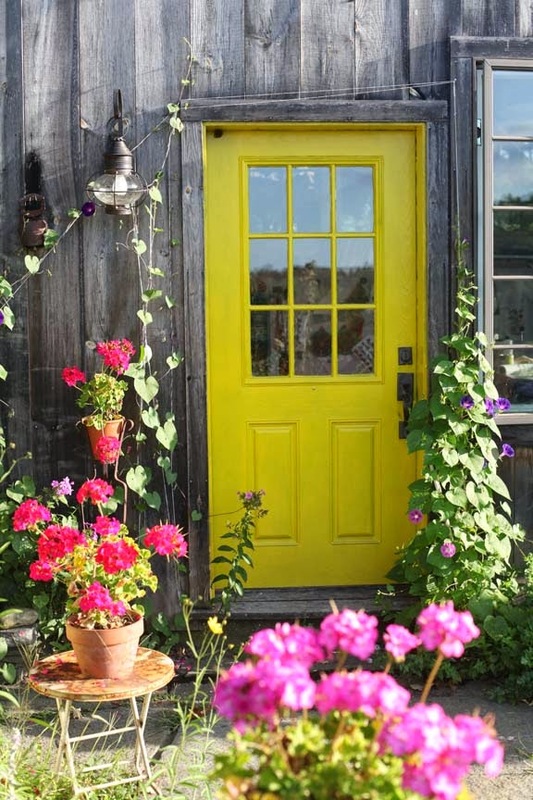 Love sunflowers and your yellow door! Mine are still blooming beautiful - enjoy while we can. Then I hope to pick up your books and do some embroidery. It's time for a new quilt :-). Thanks for the inspiration!